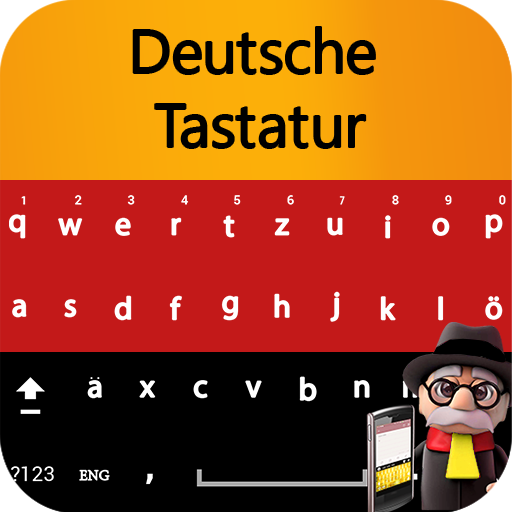 Easy German keyboard is designed and developed to write German words in every field. 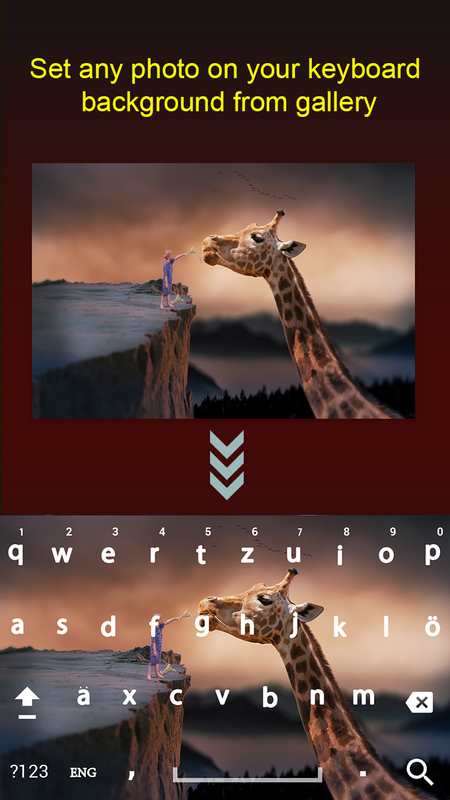 German keyboard allows you to type in German language. Language being the major asset of any nation is very important factor of nationhood. It is the most widely spoken and official language in Germany, Austria, Switzerland, South Tyrol (Italy), the German-speaking Community of Belgium, and Liechtenstein. It is also one of the three official languages of Luxembourg. Here we are to help you express your feelings by your native language "German". 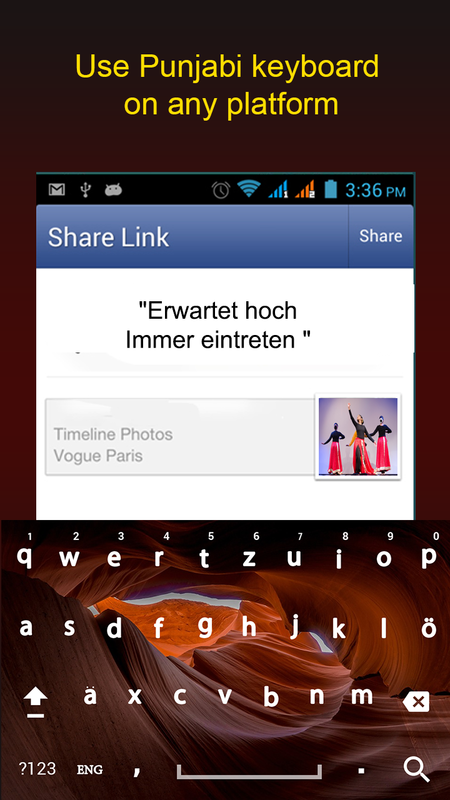 "German keyboard for android “enables you to convey what you actually want in your mother tongue. It has multiple features but the best one to look out for is its ability to translate English into German and German into English. This ability makes it very useful for natives as well as international users. 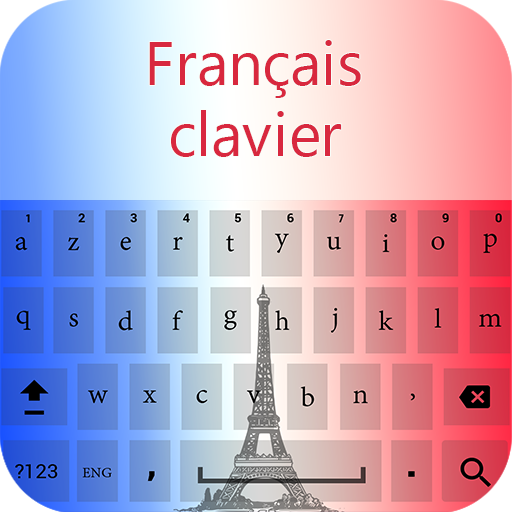 If you are fed up with ordinary and dull keyboards, make it fast to install this keyboard, as it gives you luxury and choice to set any photo as background of your keyboard with multiple color schemes. 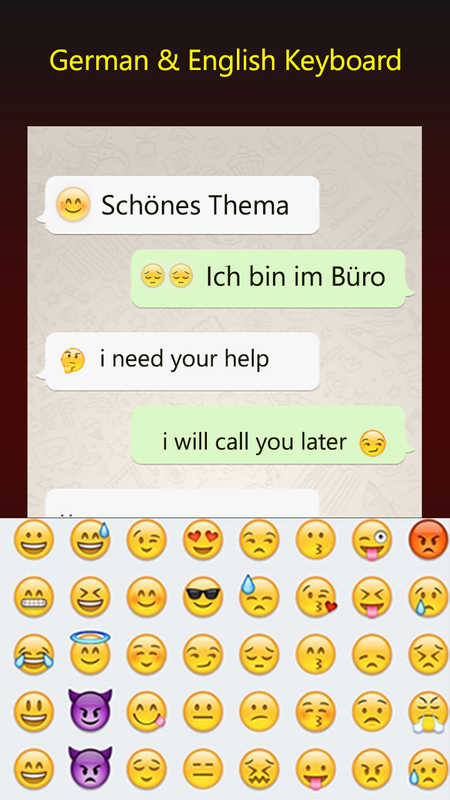 Feelings are the most important part of any conversation, share all your feelings and moods with others by a package of most used and new emojis.The "German Keyboard for android " is distinguished from other keyboards due to its feature of being used at any platform like fb, instagram etc and it may be used as a default keyboard of your device as well. 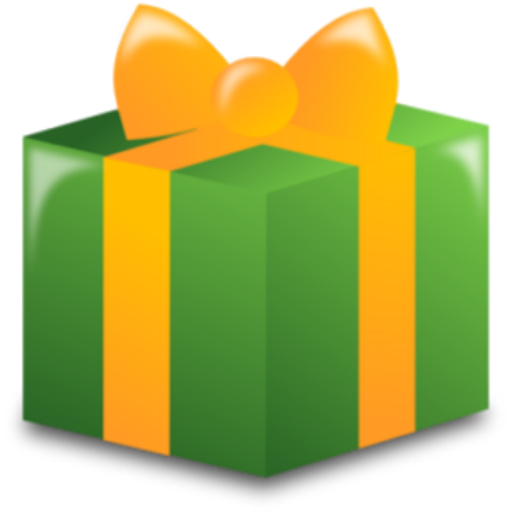 Compose emails, chat with your friends with this amazing facility. 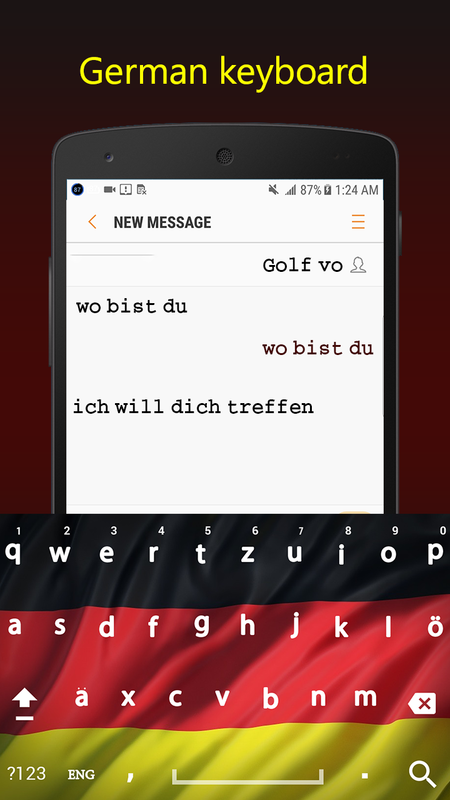 With all these features, "German keyboard for android" is ready to rock your devices in modern as well as traditional manner. Impress your friends and family with this exciting keyboard and we are sure you would like it! Don’t forget to share this amazing keyboard with your friends and family. Share your valuable feedback with us to further improve this application. 2. Set background photo of your own choice. 3. Can be used at any platform. Download and Enjoy your chatting!!!! !